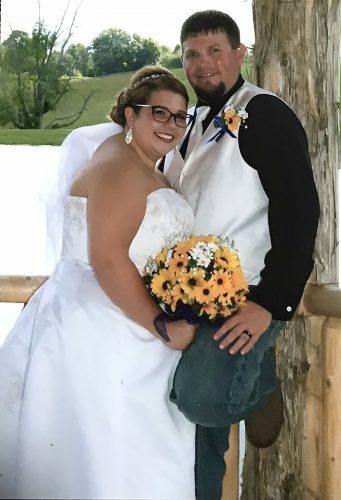 WEIRTON — Katlyn Viglianco and Louie Olive were united in marriage on Oct. 28 at St. Agnes Catholic Church in Charleston, W.Va. The Rev. Dean Borgmeyer officiated. 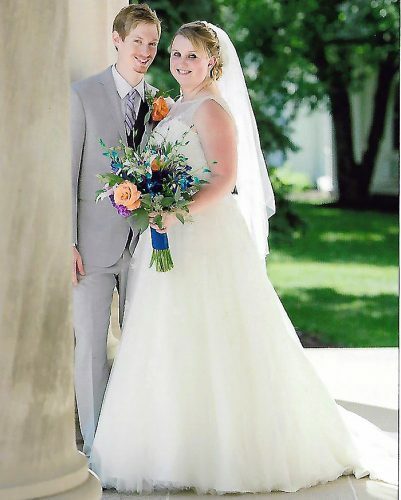 The bride is the daughter of Andrew and Kathleen Viglianco of Weirton. The groom is the son of Sam and Janice Olive of Williamson, W.Va. Escorted to the altar by her father, the bride wore an ivory, silk ballgown embellished with pearls and rhinestones. She carried a bouquet of burgandy calla lilies, white roses and succluents. 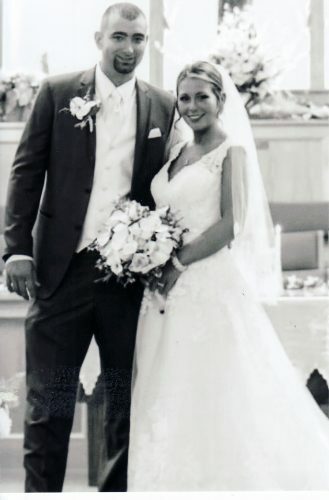 Emily Viglianco of Weirton, sister of the bride, served as maid of honor. 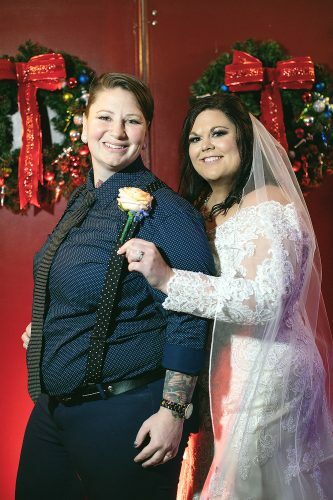 Bridesmaids were Mary Kay Olive of Ann Arbor, Mich., sister of the groom, and Nicole Cutter of Atlanta. Sam Christophr Olive of Seattle, brother of the groom, served as the best man. Groomsmen were Nicholas Ward of Williamson and Jordan Hagy of Williamson. 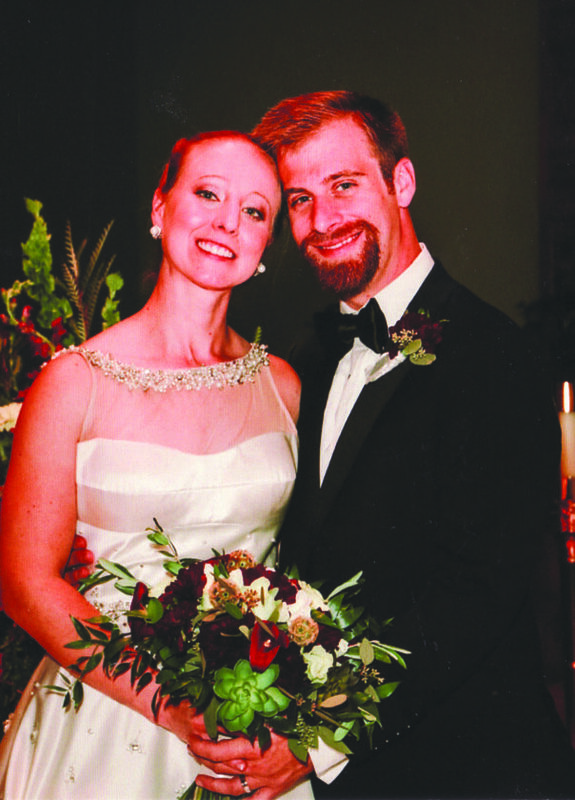 Following a reception at Edgewood Country Club in Charleston, W.Va., the newlyweds honeymooned in Charleston, S.C. 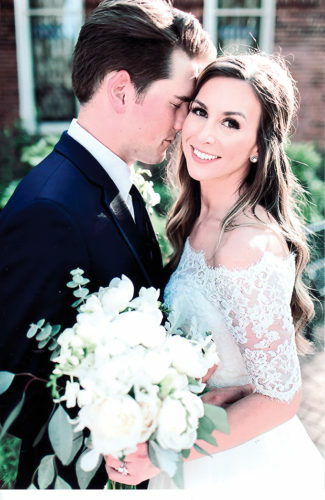 The bride is a 2011 graduate of West Virginia University in exercise physiology and a 2015 graduate of Marshall University’s School of Medicine, specializing in OBGYN. She is a senior resident at Women’s and Children Hospital in Charleston, W.Va. The groom is a 2011 graduate of WVU with degrees in biology and English. He is a 2016 graduate of Marshall University’s School of Medicine, where he specialized in family medicine. He is a second year resident at Cabell Huntington Hospital in Huntington, W.Va. The couple will live in Charleston, W.Va.